EAST TOSA ALLIANCE SPECIAL EVENTS COMMITTEE LOOKING FOR PEOPLE LIKE YOU! Do you love your community? Do you want to contribute to the success of your community? The East Tosa Alliance Special Events Committee is looking for people like you to help us start ramping up to our two big events for 2014! 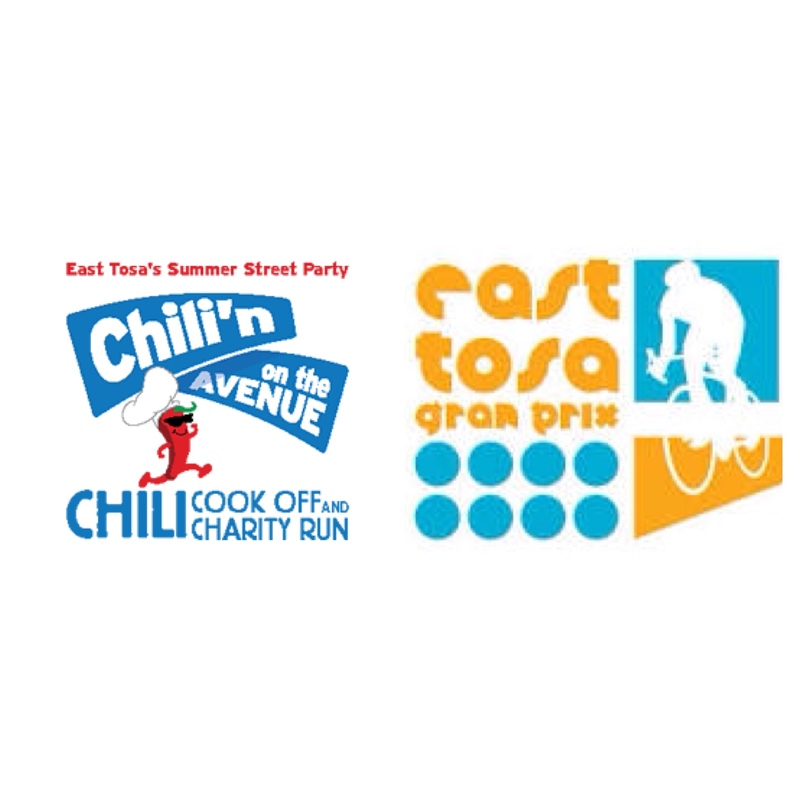 The East Tosa Gran Prix will take place on June 29, 2014. This past summer was our “rookie” year and we rocked it. The Tour of America’s Dairlyland is the largest criterium bike race in the country, and we hosted the 2nd largest day of the 11-day event with nearly 20,000 spectators. On September 13, 2014, we will host our 5th Annual Chili’n on the Avenue. It is Wisconsin’s only nationally sanctioned Chili Competition that draws more than 8,000 people to cook, eat, drink, play and enjoy live, local entertainment. Part of our mission at the East Tosa Alliance is to work together to make East Tosa a great place to live, work and play, and these events contribute greatly to our success. Getting involved in special events is a great way to help benefit our community and they couldn’t exist without the help of people like you! Please contact Maya Romboy maya.bilitz@gmail.com for more information. The mayor, our alderpersons and the school superintendent will be holding a Town Hall style meeting for the Pabst Park neighborhood, District 1, on Wednesday, April 23rd at the Wauwatosa Woman’s Club beginning at 7pm. Updates will be given on development and construction for our area as well as city and school district highlights for 2014. You can also “practice” parking near the Wauwatosa Woman’s Club as this is our new polling location as of 2014. Have you ever wanted to go “behind the scenes” in Tosa? 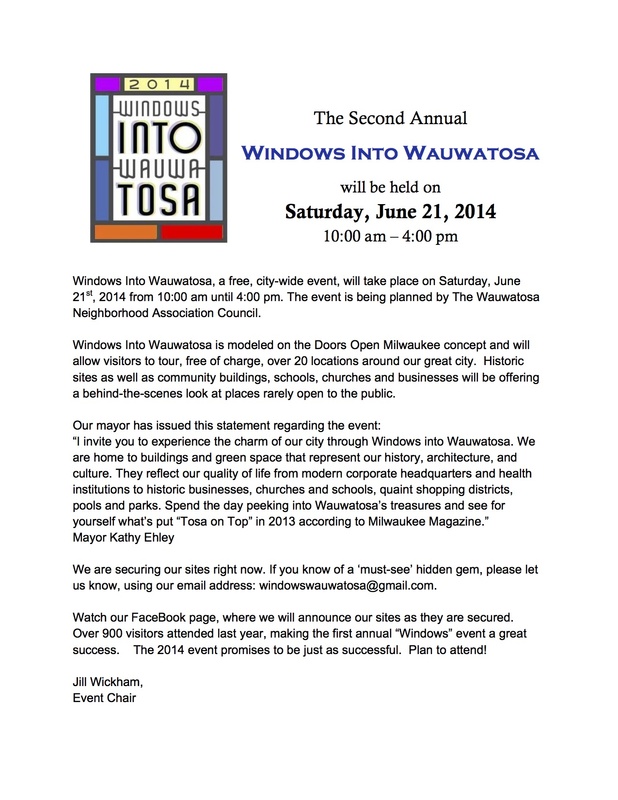 The Windows Into Wauwatosa Event will be held this June and you can volunteer to help! 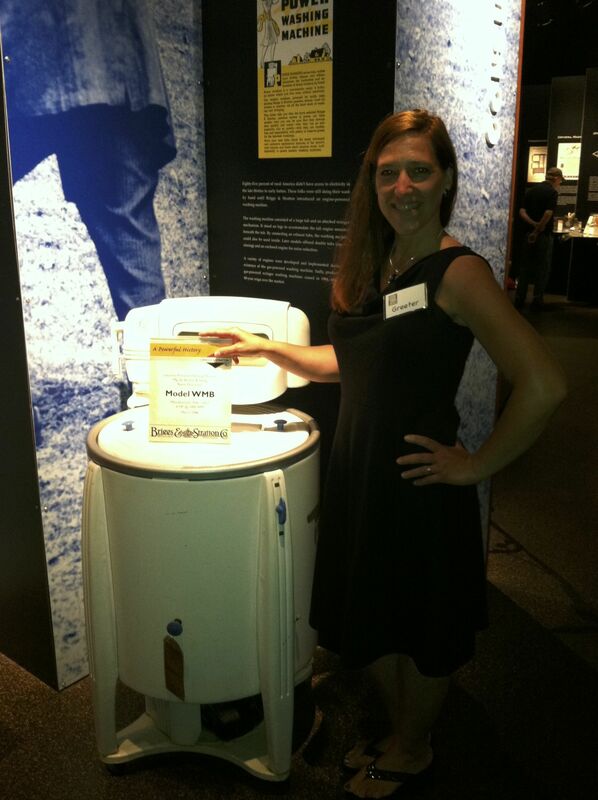 I was a greeter at the Briggs & Stratton Museum last year, although I wish I would’ve had the Niemann’s job! Please, consider helping out this year. 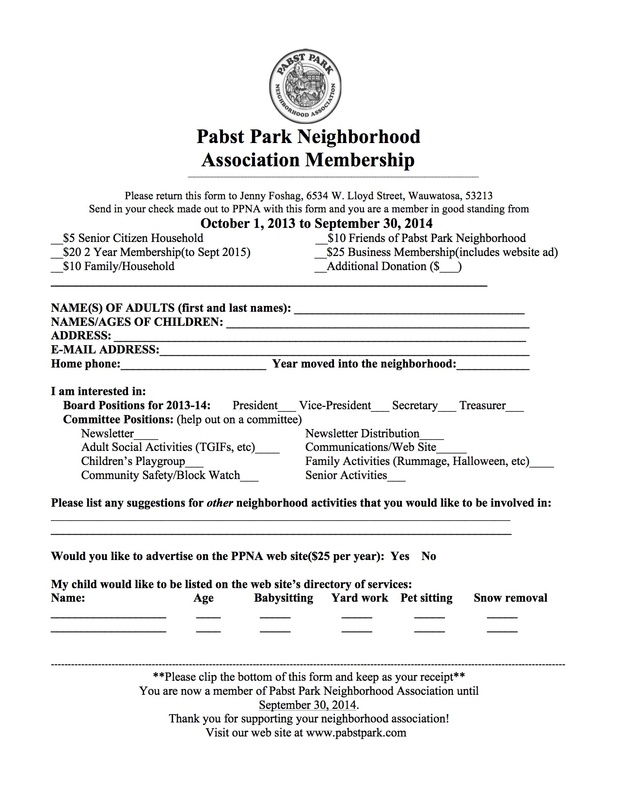 Contact me at pabstpark@gmail.com for more information on how to get involved or visit the Windows into Wauwatosa website. Welcome 2014! 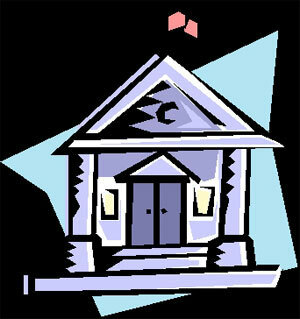 The PPNA has 2 returning board members for the new year and a “new” president. I say “new” because Tammy Crouch is a previous president back at the helm. A Winter Newsletter is ready for delivery and should be at your door by January 25th. We are still looking for a Vice President to help give some new input, fresh ideas and excitement! Feel free to contact one of the board members or email, Tammy at pabstpark@gmail.com to find out more about this opportunity to serve the community in a very low commitment way. We have our first event of the new year scheduled on Saturday February 8th. 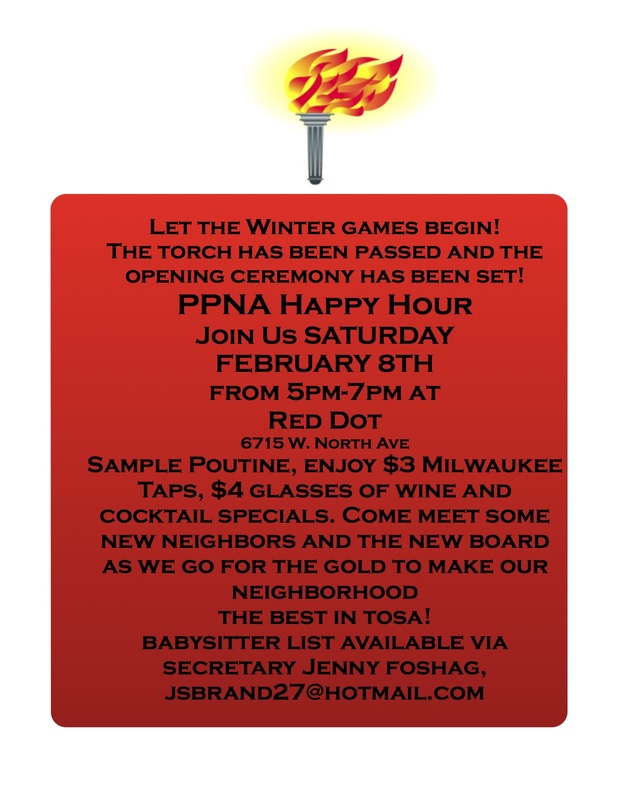 We will be hosting a PPNA Happy Hour at Red Dot on 67th and North Avenue from 5pm-7pm. If you need a babysitter, please contact Jenny Foshag at jsbrand27@hotmail.com for local sitters. This is a members only event, so if you haven’t renewed your membership or would like to join for the first time, print out a membership form and bring it along to the happy hour. Sample poutine and enjoy happy hour drink specials, meet the new board and make some new friends!